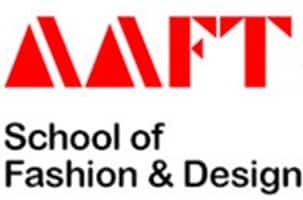 AAFT School of Fashion Exam Date is NOT FIXED. It will be a Computer-based exam. The candidates will be informed about the schedule of the examination once the submission process is complete. The candidates will be provided with Computer-based Aptitude Test ID and Password once the submission process is complete. Applicants making application for UG/PG Courses, have to deposit registration fee of Rs. 15,000 which will be adjusted with the course fee after selection in entrance examination and interview. Education Qualification: The candidate making application for the AAFT School of Fashion & Design should have cleared Class 12 examinations from CBSE/ ICSE/ IGCSE/ IB or any State Board. The application form can be filled through offline mode also. The candidates seeking admission in B.Des in AAFT would be required to fill the application form. The candidates can download the application form by following the link given below. The applications are ongoing as there is no last date to fill the application form. Education Documents: Duly attested photocopies of educational qualifications from class 10 are to be attached to the application form. Bank Draft or Registration Fee. The candidates in order to complete the application process have to submit the form at the given address. However, before the final submission of the form, the candidates are suggested to cross check all the information in the form as the form carries invalid details would be rejected. The duly filled in AAFT B.Design Application form can be submitted by hand or by post. The candidates willing to get the application form and prospectus offline are required to pay Rs. 600 either by cash or by demand draft issued in favour of Asian Academy of Film & Television or Asian School of Media Studies payable at Noida/Delhi. The candidates will be invited to pay registration fee worth Rs.15,000 either using online payment methods or by the help of Demand Draft issued in favour of ‘Asian School of Media Studies’ payable at Noida. NOTE: If the student does not clear the written exam then the amount of Rs. 15,000 will be refunded. STEP 1 (Aptitude Test): The details related to the aptitude test will be provided to the candidates after they complete the application process. The Aptitude test will be conducted at Asian Academy of Film & Television / Asian School of Media Studies premises under the supervision of admission coordinators. Schedule: The candidates will be informed about the examination schedule after completing the application process. Computer-based Aptitude Test ID & Password: The candidates will be provided with Computer-based Aptitude Test ID and Password so that they can complete the test. STEP 2 (Personal Interview): Personal Interview will be conducted by the Dean or his nominee after 2 hours of Aptitude test over the phone. Result: Based on the score of the aptitude exam and interview, candidates will be informed about the decision of the selection committee within 2 days of Aptitude Test and Personal Interview. Confirmation of Admission and Verification of Original Documents: The candidates are required to confirm their admission after receiving the Selection Letter by depositing the Course fee. All the candidates are required to present their original documents to the admission officer while completing the admission formalities. The candidates can select any of the following career options after completing their B.Design in any of the given streams being taught at AAFT Noida.